I went to Eastwood recently to use a voucher for a skin treatment I bought a few months back (will write a separate blogpost about this). Luckily, a college friend (who's working in Eastwood) was willing to meet up with me for dinner. 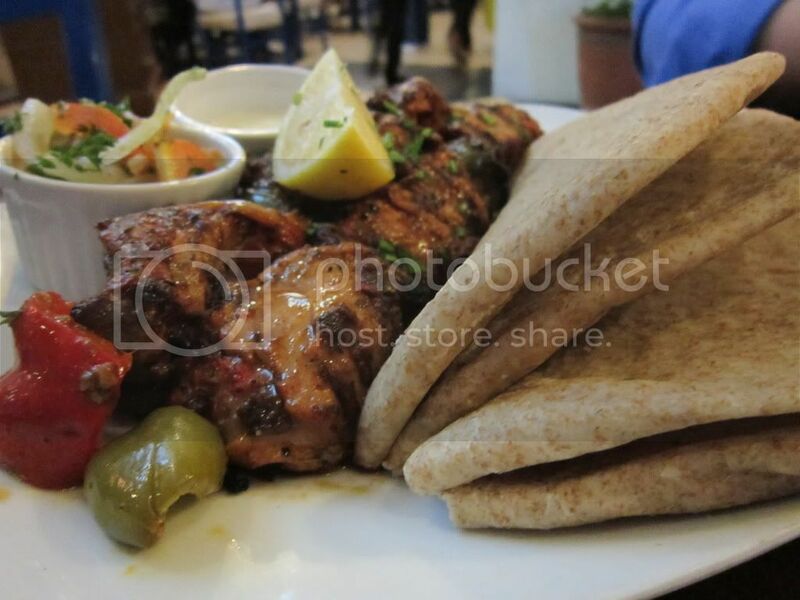 And we ended up eating at Cyma Greek Taverna. It's been a while since I've been to a Mediterranean resto and gosh, I missed eating Mediterranean food. I usually don't order appetizer since I find Mediterranean dishes heavy. 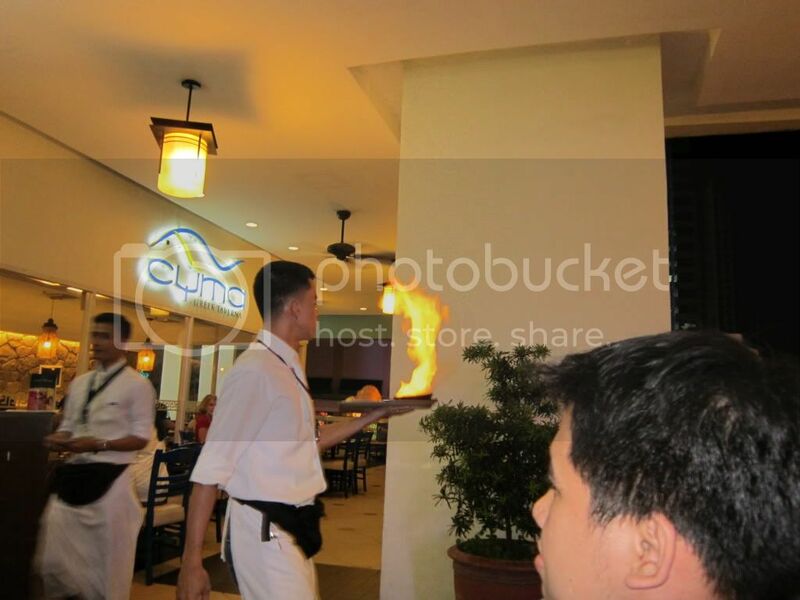 But the server convinced us, so we got Saganaki Cyma Original (Php 200). Saganaki is pan-seared cheese. 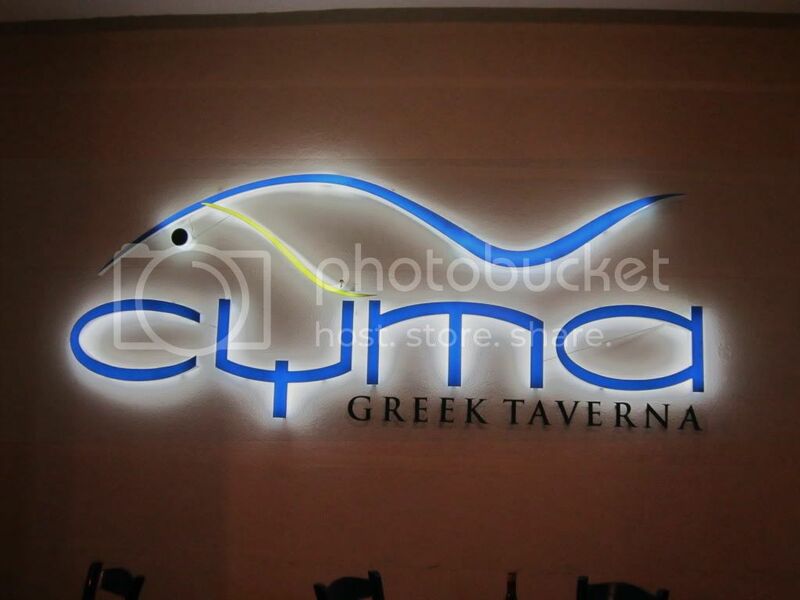 Cyma has two kinds: Cyma Original and Traditional Greek. Cyma Original is a mixture of Mozzarella and Parmesan with EVOO (Extra Virgin Olive Oil). and yes, the server will flame it in front of you and the crew will cheer: OPA! (a Greek cheer). Saganaki is a very good way to start a meal. Though you must consume it immediately so the cheese would not stick to the pan. 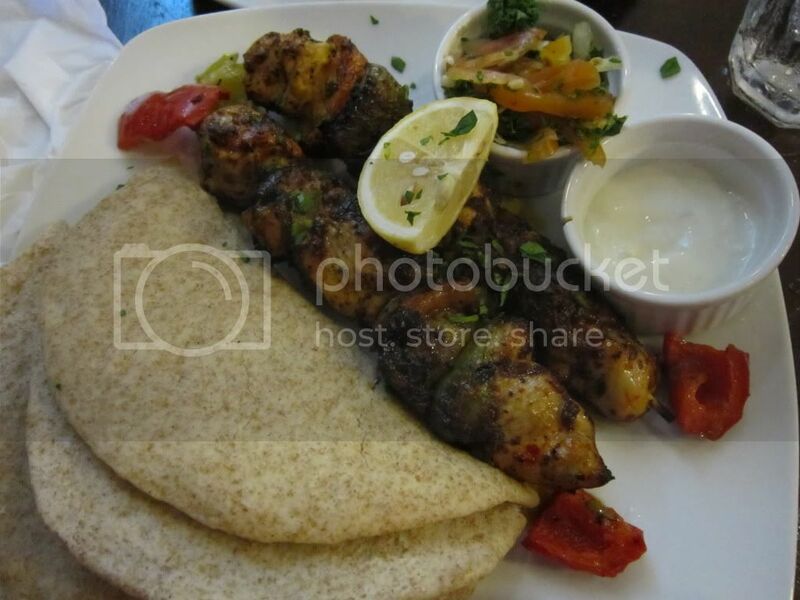 Souvlakis are two skewers of shish kabobs with parsley salad, yogurt garlic sauce and warm pita bread on the side. My verdict: I loved it! I love that the meats are so chunky yet so tender. I could really taste the herbs it was marinated in. It was so filling that I only finished one skewer. 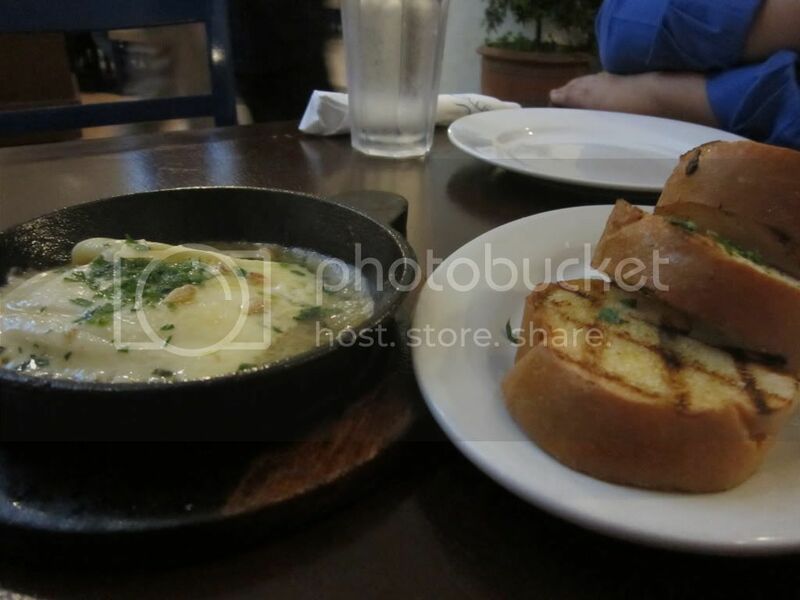 I'd love to go back to Cyma soon and try their specialties this time. But hopefully we get to try this soon. Nice. I was looking for the greek concessionaire in Glorietta the other day but was not able to find it. Sayang. Hi Kay! Was it Go Greek? Haven't tried it yet.